Activity in the wrong section. Physical – For your physical activity you need to choose any sport, dance or fitness activity – in short, anything that requires a sustained level of energy and physical activity (does it get the heart rate going?). However, learning to be a coach in the same sport would be a Skills section activity, whilst being a volunteer coach counts for the Volunteering section. Pages 46 and 47 give examples of appropriate volunteering activities. It’s about choosing to give time to help people, the community or society, the environment or animals. Your volunteering must not be done for a business but can be undertaken for a charity or not-for-profit organisation. Volunteering for a family member would not usually be permitted unless taking on a caring role. The Introduction to the DofE training course will provide you with the information needed to be a DofE Leader and run DofE programmes within a centre. It will put the learning from e-induction into context in a practical way. It is suitable for new DofE Leaders as well as existing Leaders who want to improve their DofE knowledge and find out more about the positive impact their work is having on the young people they work with. This is the difference that DofE is making in the lives of young people at Levenmouth Academy in Fife. The school is growing its delivery with help from the DofE Diamond fund – enabling more of its pupils to access life-changing DofE programmes. The school’s DofE Co-ordinator Harry explained: “We want to make our DofE a sustainable programme, so we’re building up our kit store, and training teachers in the school so they can go on expeditions. The DofE Diamond funding has helped us purchase kit and pay for training costs. The DofE Diamond fund supports more young people to do their DofE. We work with established DofE centres in schools, clubs and other organisations across Scotland to ensure the funding supports more young people facing barriers to do their DofE. Funding covers activities such as training for new organisations to run the DofE, equipment and transport for local groups, training for DofE Leaders and gifted participation places. To find out more, please get in touch at [email protected] or 0131 343 0920. Greenwood Academy has many pupils facing barriers to their participation in DofE. The cost of purchasing expedition equipment was putting pupils off starting their DofE. With help from the DofE Diamond fund the school is changing that. They’ve bought expedition kit for their participants to borrow. If you have any questions about DofE Diamond funding, please get in touch at [email protected] or 0131 343 0920. 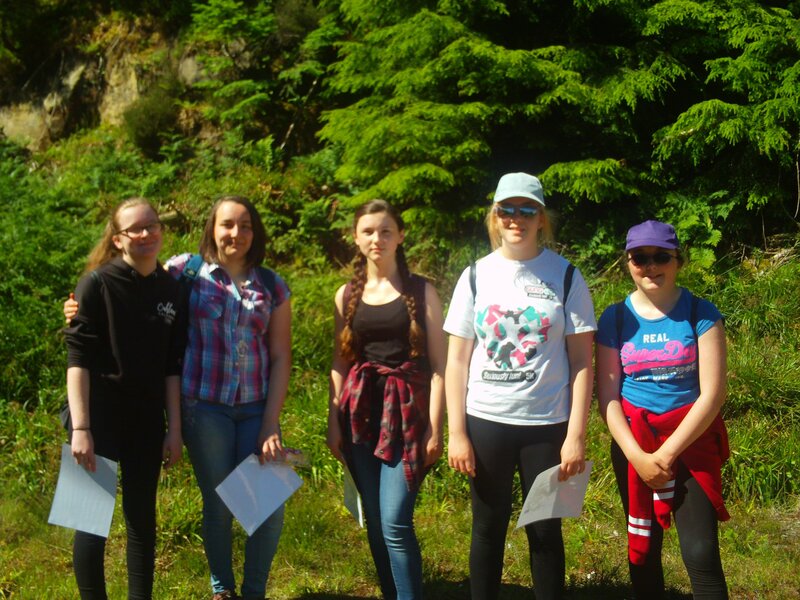 Four young women in North Ayrshire achieved their Bronze DofE Awards thanks to the DofE Diamond fund. The girls, who achieved their Awards with their GirlsRLoud youth group, got stuck in with an excellent range of projects as part of their DofE. For their Skill they organised a mobile film festival, giving young people without access to public transport the chance to keep up to date with the latest entertainment. Some of the young women were also involved in an intergenerational volunteering project, collecting and sharing the stories of elderly women who had worked in a local factory when they were young. 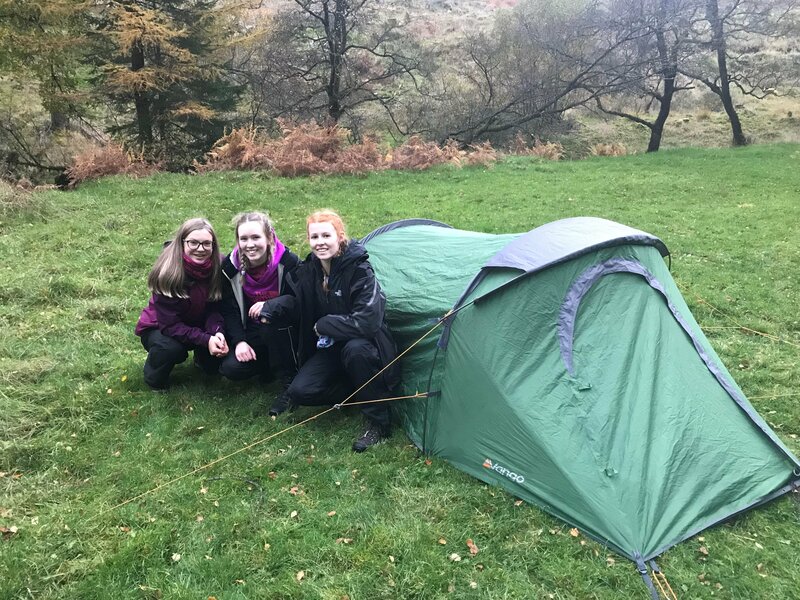 Without the DofE Diamond funding, the GirlsRLoud group would not have been able to support these young women through these activities and their DofE expeditions. They look forward to taking on more Bronze participants in the coming year. If you’re coming to ExpedFest19, you may want to consider registering for the NNAS Tutor Award Training and Assessment the day after – Sunday 27 January in Stirling. The course will give you the skills and techniques you need to teach navigation to DofE participants. It is a mixture of indoor and outdoor practical sessions and methodologies. Find out more and book on the NNAS website.